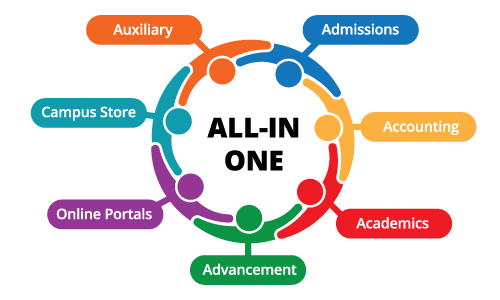 Seamlessly Manage Your Independent School Enrollment and Re-enrollment Processes with Ascendance Enrollment Management! The enrollment/re-enrollment process is a paperwork-heavy, labor-intensive operation that needs to integrate data from your admissions office, your business office, and your student information system. Whether you use rolling admissions or just handle the task during a short timeframe each year, you want to make it as easy as possible for parents to complete the process, and you want access to up-to-the-minute information. ✓ Easy data preparation and mail-merge-style contract creation. ✓ Publish contracts by student or by family. ✓ Customize items such as tuition amounts, deposits and due dates by student or by group. ✓ Create and publish optional or additional documents that may be required such as health forms, activity signups, permissions, etc. ✓ Accept and record deposits to student accounts. ✓ See summary-level and current status details at a glance. ✓ Add the Online Enrollment option for My BackPack™ to allow parents to view and complete contracts and pay online. ✓ Add Dashboard for Admissions for graphical analysis and up-to-the-minute reporting.